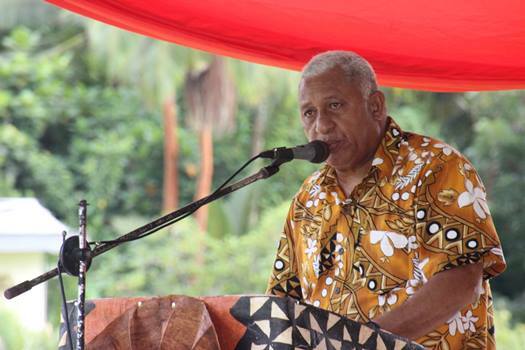 Prime Minister Voreqe Bainimarama is calling on Fijians who are on track to face the full brunt of Tropical Cyclone Gita to take precautionary measures. In a tweet, Bainimarama is advising Fijians in the storms projected path especially those living in the Southern Lau group in Ono-i-Lai and Vatoa are advised to heed the warnings and pepare as TC Gita continues to strengthen. Meanwhile, the Prime Minister says Tonga is in every Fijians prayers in the wake of severe TC Gita, the strongest Cyclone to ever strike our island neighbour.